Gilllum claimed he paid Corey — who made the arrangements for a luxury villa — $480 in cash, or $120 per night, to cover his and his wife’s share of the trip. But Corey, who submitted an affidavit to the ethics commission but refused to appear before the panel because he had been subpoenaed by a federal grand jury in the city corruption probe, swore that he never received any money from his onetime pal. 10 Responses to "Report Details Ethics Allegations Against Gillum"
We can all be thankful Gillum didnt win the election…and is NOT our governor….where he would be participating in more of all this “trivial” kind of stuff, and the Tallahasse name would continue to be an embarrasment as this would be more on the national stage. And Mr. Richard…only corrupt politicians would even be offered this kind of trivial stuff. I’ve wondered why Corey didnt lie and say Gillum payed him in cash…but I guess the FBI scared him into telling the truth…and if he took the trip expenses off his taxes as a business expense, he couldnt claim it was just a social gathering. It sure would be good to get all the dirty truth in the open air…then maybe the stench in the Tallahassee air would eventually dissipate. At least now the country will see that Tallahassee residents are no longer looking the other way regarding political corruption! Ethics violations take a back seat to Rocky Hanna and his associates developing a notebook that they and they alone filled with information they twisted including Rocky Hanna admitting he wrote the knowingly false and misleading summaries in each section. Hanna actively sought out agencies to review the document while sat the same time Hanna ADMITTED he knew of NO WRONGDOING. As a community we elected this unethical person to lead our school district. We should both be ashamed of this while at the same time demanding our school board take action against self admitted unethical Rocky Hanna. Rocky Hanna set out to destroy the former Superintendent, imagine what he will do to anyone that stands against him. His HIT LIST sent a message to all employees, act against me, I will non renew you. Read the report by Hank Coxe, ask our school board why the silence? All contracts that Hanna twisted in his notebook were approved by the school board attorney before the board voted on them. 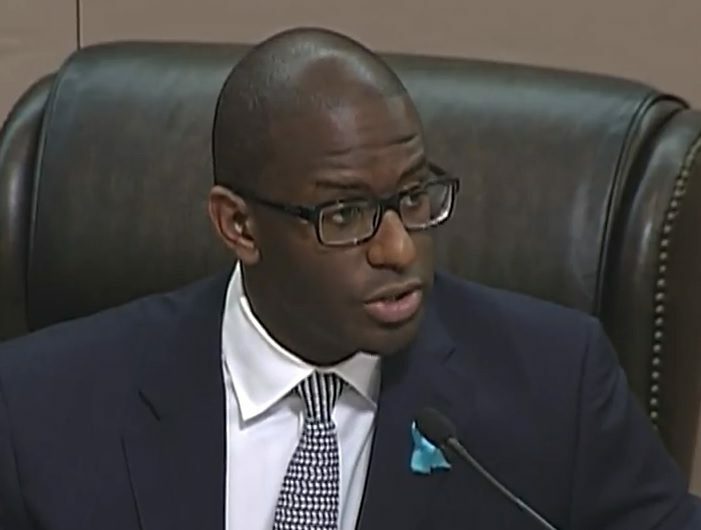 Now for the BIG Question…….. Has Gillum learned yet to NEVER Pay in CASH? Democrats on the state ethics commission saying things like they hate to have to vote for probable cause and “it doesn’t look good” – OUCH! And further details at the hearing in 6 months? So I’m going on record right now: THIS IS THE BEGINNING OF THE END of Gillum’s political career. “The commission voted unanimously that there was probable cause that Gillum broke ethics rules, but several commissioners lamented having to cast their vote. Entitlement, greed, and arrogance carrying over to misuse of public funds, lobbyist kickbacks, etc. = Indictments for Andrew. With more Indictments to come. Agree! Tsumnani coming! Quiet before the storm! So the number of students withdrawing from high school in Leon County soared for homeschool. Nobody thinks Rocky, Gregory and Cox sent the message to withdraw students to homeschool status if the would not graduate on time. Clear ethics violation by all those involved!